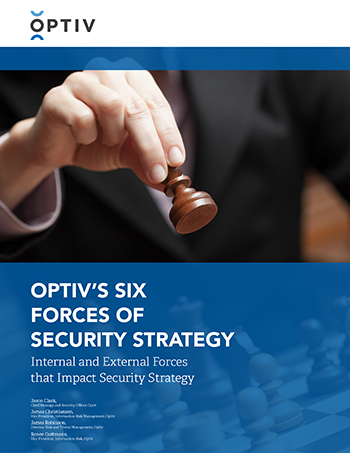 Through thousands of engagements with leading organizations, Optiv has identified six essential forces that come into play when building a secure environment. These forces, both internal and external, have significant impact on security strategy. Awareness and monitoring of these forces is essential to reducing risk, responding to change and anticipating threats.